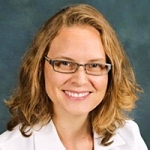 Dr. Rosen-Carole is Medical Director of Lactation Services and Programs at the University of Rochester. She trained at New York Medical College and completed a residency in Pediatrics at Yale New Haven Children’s Hospital. She was a practicing community pediatrician and residency faculty from 2008-2014, in New Haven, CT then in New York's Hudson Valley before relocating to Rochester to do a fellowship in Breastfeeding Medicine and General Academic Pediatrics. Dr. Rosen-Carole was in the National Health Service Corps from 2010-2014 working in Federally Qualifying Health Centers, which helped her fulfill her mission of increasing access and quality of care for at-risk children. She practices outpatient and inpatient Breastfeeding Medicine and Pediatrics. Her research focus has been in systems change for breastfeeding education and support. Other areas of interest include community organizing to address social determinants of health, programming for diversity and equity, and incorporating Human Centered Design principles into quality improvement initiatives. Background: Preliminary research in upstate NY shows new mothers are worried about safety while breastfeeding (BF). We sought to determine the frequency of BF safety/privacy concerns and explore their association with BF outcomes. Mothers were surveyed immediately and 1-month postpartum about breastfeeding goals and privacy/safety concerns. Results: 279 women enrolled. Almost all women felt safe breastfeeding at home, though 25% reported privacy concerns and 5% felt ‘vulnerable or unsafe’ while BF. Non-BF mothers expressed more safety concerns outside home/at work. Only 54% who reported feeling vulnerable/unsafe with BF initiated breastfeeding, compared with 86% not reporting this concern (p=0.008). Fewer women initiating BF reported vulnerability/safety or privacy concerns. Conclusion: Many BF women reported safety/privacy concerns, especially outside the home and at work, which may influence BF initiation. Further study may lead to methods to address these issues potentially increasing BF rates.